Question: Which group is more despised and condemned in the eyes of Allah (SWT)? Those among the people of Bani Israel who worshipped the calf in the absence of Prophet Musa (AS), OR those who killed Imam Husain (AS) – the grandson of the Holy Prophet (SA)? If we pose this question to the general Muslim population, we will find those who support each side adamantly. One may rush to confidently answer this question, but let us use the Holy Quran, the facts in history, and logical reasoning to reach a satisfying answer which no one else can refute. To do so, one must first define the wrong that was committed in each case, its level of intensity, its negative affect and influence on others, and it’s long term effects in this life and the Hereafter. If we pose this question to the majority of the Muslim nation who follow the School of Companions, they will answer without hesitation that those who worshipped the calf are much worse because they have committed Shirk (polytheism). Shirk is associating a partner with Allah or giving a share (of that which belongs to Allah alone) to others. The proponents of this position will argue that the greatest sin by Allah (SWT) as He states in the Qur’an is Shirk, “Most surely polytheism is a tremendous wrongdoing.” [31:14]. The Almighty also says that He will forgive all other sins if he wishes, except Shirk [4:49]. Surely, worshipping a calf especially after being guided to the truth is a devastating sin which demonstrates the weak level of faith which the people of Bani Israel have and their lack of certainty in the Oneness of God! There is nothing more unforgiving than a person committing a sin intentionally while bear knowledge of the falsehood being committed and the extent of transgression in the eyes of God. On the other hand, those who realize the great status of the holy personality of Husain ibn Ali (AS) assert that definitely, the killing of Husain is the worst sin which has no like or similarity and will not be forgiven by Allah (SWT). But what supports this argument? Let us consider the following: If we analyze the history of both incidents, we will find that the Quran clearly states that Allah (SWT) eventually pardoned the people who worshipped the calf, “Yet they worshipped the calf even after clear signs had come to them; even so we forgave them.” [4:153] In fact, they were punished by Allah (SWT) on the spot as a way of atonement for their sin as described in Surat Al Baqarah, “And when Musa said to his people: O my people! You have surely been unjust to yourselves by taking the calf (for a god), therefore turn to your Creator (penitently), so kill your people, that is best for you with your Creator: so He turned to you (mercifully), for surely He is the Oft-returning (to mercy), the Merciful.” [2:51] In their case, the divinely-appointed guide of their time who is Prophet Musa, was the person who conveyed the order of punishment as well as the glad tidings of forgiveness after acting as the intercessor for them. But in the case of the killers of Imam Husain, it is narrated by Umm Salamah that when the Prophet (SA) foretold her about the events of Karbala, he asserted that the enemies and killers of his grandson Husain willnot attain his intercession. The Quran acknowledges the great extent of transgression committed by the people of Bani Israel since they deviated even after they witnessed the clear signs. By their actions, they have attained the wrath of their Lord as well as indignity in the life of this world only as mentioned in verse 7:152. However, Allah’s infinite Mercy encompassed them and they were given the opportunity to be punished in this life to atone for their sins which was altogether good for them. Even though Allah (SWT) states elsewhere in verse 4:49 that He forgives anything except Shirk, this example of divine mercy demonstrated in the case of Bani Israel comes to show the unlimited level of compassion and forgiveness that the Almighty Creator enjoys. 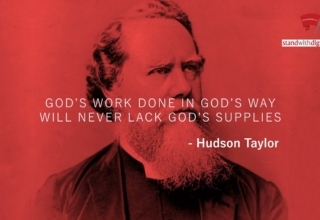 Glory and praise be to Him! On the other hand, there is absolutely nothing in history which indicates that any of the killers of Imam Husain (AS) or those who participated remotely were forgiven by Allah (SWT). On the contrary, we find multiple narrations where the Holy Prophet (SA) was envisioned in dreams where he was observed to be in a disheveled state filled with grief over the killing of his son Husain and disappointment over His nation who dared to commit that evil act of transgression. We do not hear any indication that the Imam of that time, Ali ibn Al Husain Al Sajjad (AS) conveyed any glad tidings of forgiveness or an opportunity for atonement to any of the perpetrators of the Karbala tragedy. Instead, we hear the story of one of the men who were assigned to guard the severed head of Imam Husain who was seen circumambulating the Holy Kaaba while weeping in regret and acknowledged his certainty that Allah (SWT) will never forgive him for what he committed. When asked why he was so certain, he answered that after he and his companions fell asleep while guarding the holy head, he saw the Holy Prophet (SA) in his dream in deep grief over the killing of Husain. The man asked the Prophet to seek forgiveness for his great sin, but the Prophet (SA) answered him, “Allah will not forgive you!” Furthermore, we observe the deep grief and sorrow which Imam Al Sajjad underwent as he spent the rest of his life mourning the tragedy of his father. We find that his grandson, Imam Jafar Al Sadeq (AS) teaches us Ziyarat Ashura which is an authentic narration relayed to us by an infallible personality. Without a doubt, the words of this Ziyarah is not based on personal vendetta or desire, rather it is the divine verdict announced in the form of a supplication and stamped in history for all Muslims to absorb. In the last portion of this Ziyarat, we call out, “O my Allah condemn and damn the first tyrant who unjustly and wrongfully usurped that which rightly belonged to Mohammad and the children of Mohammad, and bring curse upon those who, after him, followed in his footsteps. O my Allah condemn and damn those conspirators who vexed and harassed Husain, showed eagerness, agreed mutually, and joined hands to kill him. O my Allah bring curse upon all of them.” From these divinely inspired words, it is crystal clear that in addition to praying that Allah’s mercy be taken away from those who participated in the killing of Husain, we are also praying that all those who tread the path of these killers and all those who showed lack of enthusiasm or hesitated to support Imam Husain (AS) be included in this condemnation. How grave is that sin of killing of Imam Husain such that Allah (SWT) condemns all those who are associated with that event by far and in the future?! So despicable it is such that even the great sin of committing Shirk by worshipping the calf is not anywhere near its extent of horrendousness, and so there is no supplication propagated to us which prays against the worshippers of the calf. 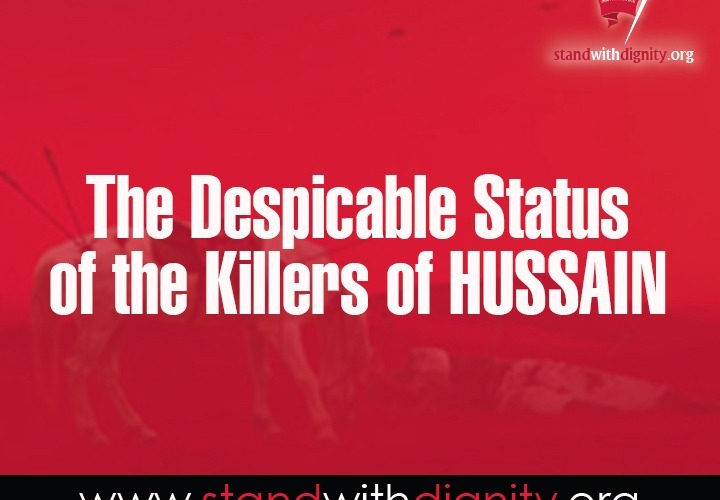 In addition, if we compare the two acts of transgression – worshipping the calf and killing Imam Husain – we will realize that worshipping the calf constituted an act of oppression to one’s own self, as Prophet Musa addressed his people, “O my people! You have surely been unjust to yourselves..” By worshipping other than God, they have hurt none but themselves because creation is in need of God, and not vice versa. 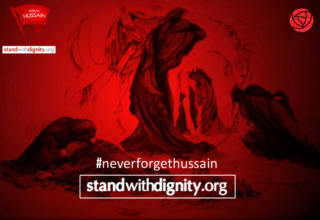 But the slaughter of Imam Husain (AS) is tantamount to oppression of another being(s), in addition to being unjust to oneself. 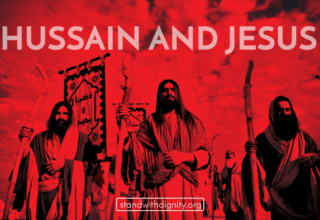 The injustice committed in this case is directed to the holy grandson of the Seal of Prophets whom he said about his grandson, “Husain is from me and I am from Husain.” Hence, any offense directed to Husain is equal to an offense committed to Prophet Muhammad! After all, Imam Husain (AS) represents the beautiful manifestation of truth, justice, and divine perfection; by killing him, all these manifestations are also challenged and destroyed. This direct offense to Allah (SWT) by attacking His divinely appointed representative is worst than those who killed the camel of Prophet Saleh, which was also a divine symbol and the consequences were destruction to the people of Thamood within three days only, without being given a chance for atonement or repentance! 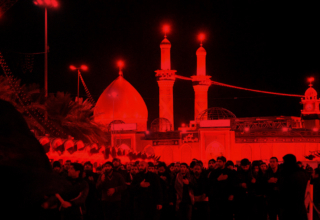 Moreover, the killing of Husain meant the obstruction of divine light and radiance to the people of this world. Hence, it is oppression committed not only against the victim himself, but also to every person who is deprived of that torch of guidance. If we analyze the Quranic verses, we will find that indeed Allah (SWT) promised a great punishment for those who dare to kill His divine guides, whether they are prophets or Imams. He states in Surat Aal Imran, V 21-22: “As to those who deny the Signs of Allah and in defiance of right, slay the prophets, and slay those who enjoin justice among people, announce to them a painful chastisement.They are those whose works will bear no fruit in this world and in the Hereafter nor will they have anyone to help.” Imam Husain was surely among those referred to in this first as those who enjoin justice and stands up against the oppressor and tyrant of his time. And if we compare the destiny of those who kill the divine guides as mentioned in this verse, it is eternal shame in this life and in the Hereafter, while those who worshipped the calf were destined to face indignity in this life as mentioned in verse 7:152. It is important to note that even though Bani Israel committed Shirk by worshipping other than Allah (SWT), the killers of Imam Husain (AS) committed a greater type of Shirk by rejecting the Imam of their time and more so, slaughtering him in the most brutal and merciless manner! After all, the famous tradition asserts that a person who dies while he does not have ma’rifah (recognition and not mere knowledge of the fact) of the Imam of his time has died a death of ignorance. And the killers of Husain have surely demonstrated extreme ignorance of their righteous leader! 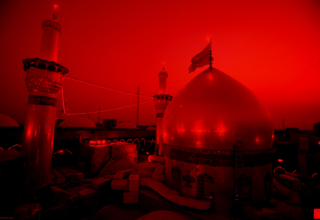 So great and intense is the injustice committed in the Karbala tragedy that this is the only case of transgression which Imam Al Mahdi (AS) vowed that he will take vengeance from the killers of Husain, even after the passage of time, and he will continue to shed tears of blood in mourning of his grandfather. Certainly, there is no narration that expresses with great passion the amount of grief over any event as was expresses by Imam As-Sadiq when he stated, “Surely, there is a burning heat in the hearts of the believers with respect to the killing of Husain that will never ever cool down!” This flaring heat is fueled by the love and devotion to our Master Imam Husain (AS), and it is directed against his killers and enemies who sadly continue to exist till this very day!